It is impossible to pinpoint when the 1965 912 model year ended and when the 1966 912 model year began. In 1965 operations at Porsche were such that any given supply of parts would be used until exhausted, and then replacements would sometimes be updated, but such changes did not strictly occur in accordance with each changing model year. Complicating matters further, is that bodies for 912s were made both at the Porsche factory, and by subcontractor Karmann, thus allowing for a scenario where later cars with earlier features could be built at one facility, while earlier cars with later features could be built at the other. Confusing matters even further, is that because 1965 912s were only sold in Europe, most of the first 912s to arrive in the U.S. came via Porsche’s European delivery program, whereby U.S. citizens could take delivery of new 912 at the Porsche factory, drive it through Europe for a few weeks, and then import it to the U.S. as a used car at a tremendous tax savings compared to a new car, however many of these 1965 cars were then errantly registered as 1966 model year cars, and remain so to this day. The 912 Registry has recovered a letter from the Porsche archives that decries all 912s made henceforth after July 1, 1965, are to be considered 1966 model year cars, however Porsche has subsequently issued Certificates of Authenticity verifying 1965 model year cars for 912s built as late as September 16, 1965. In the 1960s, Porsche would shut down operations in August to provide workers with a summer holiday, and within the Porsche community it has been suggested that 912s made before this break might be considered 1965 model year cars, and those made after were 1966 model year cars, but again, Porsche Certificate of Authenticity dates for 1965 model year 912s that range throughout August and into September again would refute this notion. Until future research may prove otherwise, the consensus within the 912 Registry is that around 1,500 1965 model-year painted dash 912 cars were built. A 1965 model year 912 should have a factory painted dash. However, the possibility exists that Porsche may have equipped some 1965 model year cars with matte back dashes that may have originally been intended as 911s or were prototypes. Also, it should be noted that in the 1960s many owners of 1965 model year 912s painted their dashboards matte black in an attempt to modernize their cars. And in recent times, a trend among many restorers of 912s has been to opt for a painted dash on later cars as a matter of personal preference over originality. Beyond a painted dash, a 1965 model year 912 should also have a majority of other 1965 model year features. Note: Because the 1965 912 was officially only sold in Europe, virtually all examples feature engines with European format serial numbers and European style heater boxes, however the 912 Registry has verified at least eight 1965 model year 912s, that per their Porsche Certificates of Authenticity, came originally equipped with U.S. spec numbered engines. Other anomalies, such as 5 gauge dashboards, are also possible. 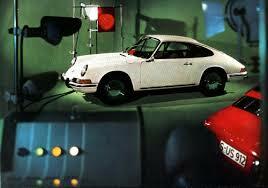 Hence a 1965 model year 912 should not be dismissed outright over any one particular inconsistency. A 1965 model year 912 should have a VIN # that is lower than circa 350500 for Porsche-built cars, and lower than circa 451500 for Karmann-built cars. Be advised that these ranges are estimates, and that outer limits have not been definitively established. 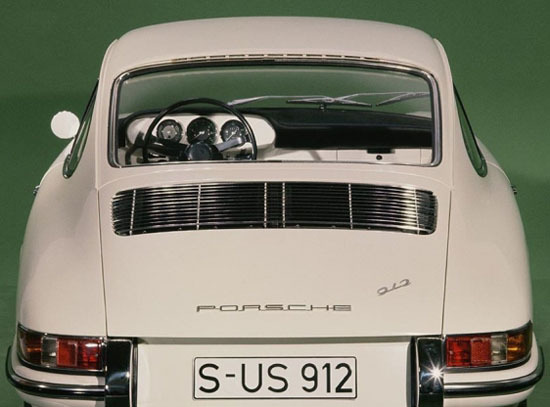 It is also possible that 912s were assembled out of sequence, thus some 1966 model year cars may have VINs land within the edges of these ranges. It is highly recommended that any prospective 1965 “painted dash” 912 purchase be examined for authenticity by a qualified Porsche marque expert.